For unlock your phone, you need to have the following cables: DKU-5 or CA-42 With these cables you can connect your telephone of Nokia with your computer via USB port. NOTE: No other cable will work because ONLY DKU-5 & CA-42 support FBUS. You must have the latest version of that cable driver. Download here. 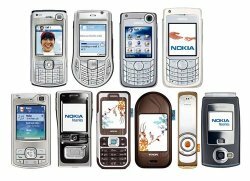 Note that phones with only a USB port(N91, N93i & Nokia N95) will need to use an unlocking/flashing box like JAF along with a COM Emulator to unlock. Please see this forum for more details. 3. Connect your phone with cable to PC. Turn on your phone. 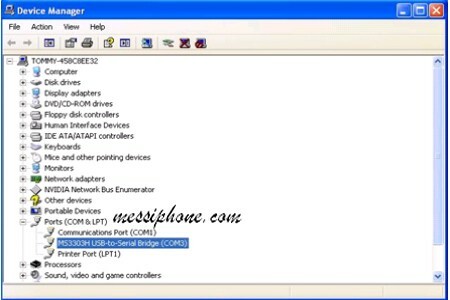 4.	you can tell if it has by going into your device manager as shown below looking under the tab that says ports as mine shows it says usb to serial bridge (com3) you need to make a note of the com number that its been assigned for the next step. 5. Open file c:/bb5_unlocker/logs/bb5_unlocker.cfg and write here pro COM port (1 to 9). 7. 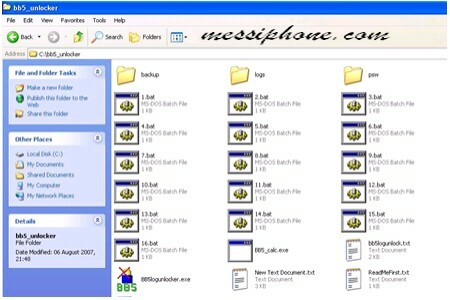 Run c:/bb5 unlocker/BB5logunlocker.exe , As you can see from the screenshot the program is working through com3. 7. Click MAKE LOG, log will be created in the folder LOGS. This log contains your unlock codes. Note : to enter code manually. "Phone restrictions off" means unlocked.